The M CGB irons are at the most forgiving end of the TaylorMade iron spectrum, alongside the M1 and M2. Designed for maximum forgiveness and distance, the irons max out COR throughout the set (which isn't standard...), leading to TaylorMade’s tagline of “a bag full of drivers”. As you would expect from a super game improvement club - chunky topline, sole and overall. However, the tungsten weights and modern aesthetic make it look as appealing as possible. Powerful - like the M2 iron feel but aplified. Really lively off the face. Bit of a hollow sound, because of the large cavity. It’s built for distance and height, and the TaylorMade M CGB delivers on both counts. A bunch of tech aids the distance gains - Speed Pocket, Face Slots, 360 Undercut, Inverted Cone - allowing for maximum flex and energy transfer. We were getting blistering ball speeds off the face, which turned into serious yardage. The tungsten weights drag the CG low and to the perimeters. This means the club launches high - really high - and there is a huge amount of forgiveness in there too. Obviously it makes it hard to work the ball or control the flight, but high handicappers clearly don’t often require this from their irons. There is a draw bias on this iron, which will help reduce the amount of fade you put on your shot. It’s not going to stop you hitting a slice, but could marginally reduce the resulting damage. If you hit it dead straight or with a draw, this could cause you issues. Particularly if your bad shot is a miss left. Lofts have been adjusted in relation to the low CG in order to provide an optimum apex - in fact these are the highest hitting irons ever from TaylorMade despite the strong lofts. As they are so fiery, the short irons still provide serious distance, which could leave you with some gapping issues at one end of the bag. Designed to offer supreme forgiveness, distance and a high launch - and it does all with aplomb. 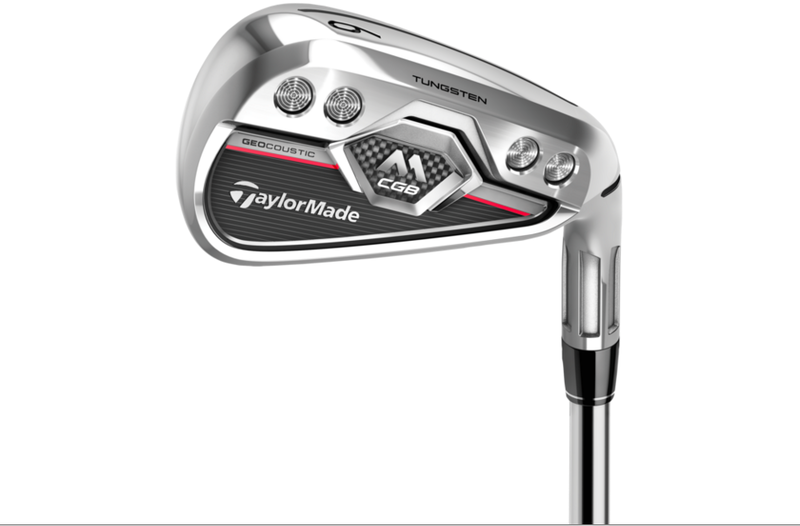 As far as super game improvement irons go, this is a corker.